On November 15th Poznan Against Nationalism coalition organized a demonstration in the center of Poznan, Poland. The people of Poznan have proven they will not get threatened by fascists and the fake news they spread – their strategy based on creating fear and tension did not succeed. The antifascist demonstration was around 700-people strong. On 7th June Lech Poznań football team won the Championship of Poland. Using the cover of celebrations, far right hooligans attacked Od:zysk squat in the centre of the city. There was also an attack on anarchist bookshop Zemsta: the doors were set on fire and flares have been thrown inside the building through the broken windows. 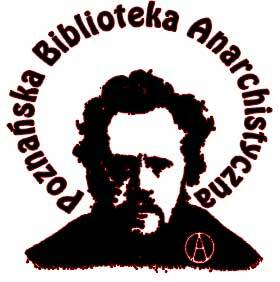 “The Workshop” squat-in-making has been forcibly evicted yesterday (8/29/2012) in Poznań, western Poland by the police, followed by the property owner. The announced opening party was scheduled on Friday, 8/31. We may consider the passing year two-way in the domain of tenants' issues in Poznań. Firstly, it was a breakthrough year, mainly because of developing collaboration with residents of the city. Secondly, growing part of the community has begun to experience raising effects of the economic crisis, tied with antisocial policies of the city hall, as well as they perceived no influence whatsoever over the common budget management. 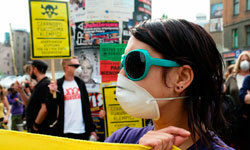 On April 26, 2011, a few dozen people attended a rally against nuclear energy in the city of Poznan, Western Poland. The main slogan was "Chernobyl, Fukushima, Klempicz - nuclear power plants are not and will never be safe." The rally attracted the attention of passers-by and the local media. 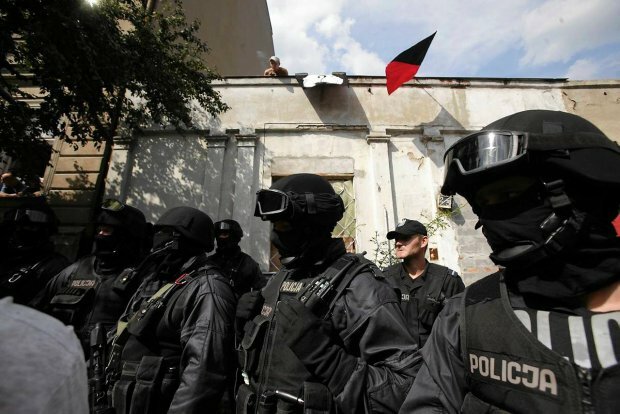 It was initiated by the Anarchist Federation from Poznan, but local groups as the samba band Rhythm of Resistance and Food Not Bombs joined. 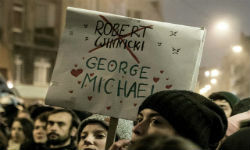 4 July, after a long-term disease Rafał Górski died. He was an anarchist and an activist of the Worker's Initiative Trade Union and the anarchist movement, a researcher of history of syndicalism and anarchism, an author of numerous articles and books. 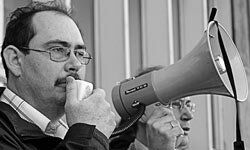 The Worker's Initiative Trade Union is in mourning after the loss of a remarkable animator of union activities, a man of great authority. For many of us this is a loss of one of our closest friends. 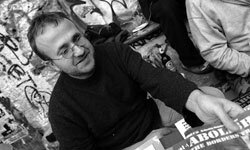 Marcel Szary, an activist of Workers' Initiative Trade Union in Cegielski factory, died today morning. He was also one of the founders of the union. 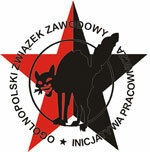 It is a huge loss for the syndicalist and union movement in Poland. Marcel Szary was an extraordinary union and worker activist. During the communist regime he was a member of underground “Solidarnosc” union, he joined it when he was still going to school. After 1989 he did not agree with the compromise politics of “Solidarnosc” and he gave up the membership in the union. In June 2004 he was one of the founders of the Workers' Initiative committee in Cegielski factory. He was a representative of the workers in the board of that factory. 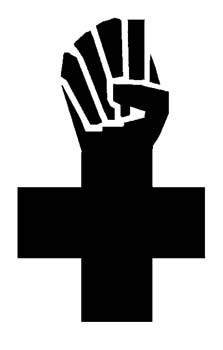 He was one of the most significant and active activists of WI. He was a friend of the anarchist movement, for which he became a symbol of workers' struggle. Rozbrat squat, active for 16 years now in the city of Poznan, the longest occupied space in Poland, houses social, political and cultural activities that oppose the world of Authority and profit, of social and class divisions. Today it is one more of the self-organized spaces of resistance which are facing repressive plans. 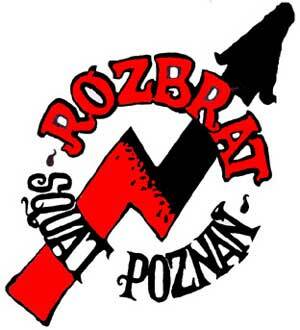 Today at 10 a.m. at Poznan's local court an auction of the grounds of Rozbrat squat was supposed to take place. No one wanted to take part in it and the grounds haven't been sold! It was already the second auction of those grounds and because of that the bank who gave the loan to the company who owns them can buy the plot. But estate analysts claim that this is not likely to happen. The procedure leading to another auction can start in one year from now. 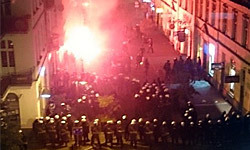 On Saturday, March 20th, the second demonstration in defence of Rozbrat took place. About 1,500 people from Poznan, Poland and from abroad took part in it. Next Friday, on 26th March, an auction of the grounds of Rozbrat is going to take place. Meanwhile, the issue of Rozbrat still has not been solved and the actions of the city authorities stil favor the potential owner and developer. Rozbrat – the final strike. Demonstration on 20th March!